Lake Havasu City, AZ is located along Lake Havasu which is part of the Colorado River in Mohave County. Founded in 1969, our beautiful town is now flourishing town with nearly 56,000 people. Popular amongst boating and water sports enthusiast, it definitly has earned a place on the map! During the winter months the town fills up with "snow birds" here to enjoy our beautiful sunny, warm climate. 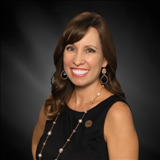 If you are looking to buy or selling Lake Havasu City, you can count on The COLLINS TEAM for all your real estate needs. Born and raised in Lake Havasu City! Download our FREE LHC relocation guide here! Listings last updated Apr 19, 2019 11:16:pm. Northern Arizona listings last updated Apr 20, 2019 12:16:am. Lake Havasu listings last updated Apr 20, 2019 12:27:am.